I genuinely love brussel sprouts, especially these ones, but even if you aren’t usually a fan, do yourself a favour and try a bite of these. 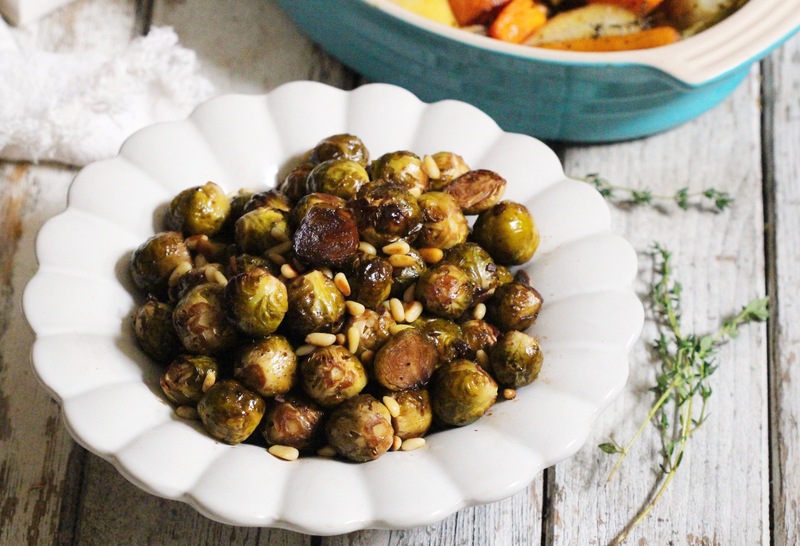 They’re tender on the inside and beautifully crisp on the outside while the pine nuts add a little crunch and taste amazing with the sticky balsamic glaze. They’re also fantastic for you- they’re full of fiber and great for detoxing and regulating inflammation due to their high glucosinolate content. They’re really easy to prep so you can tick them off the list in a matter of minutes and get back to enjoying the festivities. Chop the ends off the brussel sprouts and peel off any dirty outer leaves. I like to cut the bigger sprouts in half and leave the little ones whole. Add them all to a roasting tray. In a small bowl combine the balsamic, olive oil, maple syrup. Mince the garlic and mix it in. Pour it over the brussel sprouts and toss well. Sprinkle with coarse salt and pepper and pop in the oven. Roast for about 35 minutes. Take them out and sprinkle over the pine nuts. 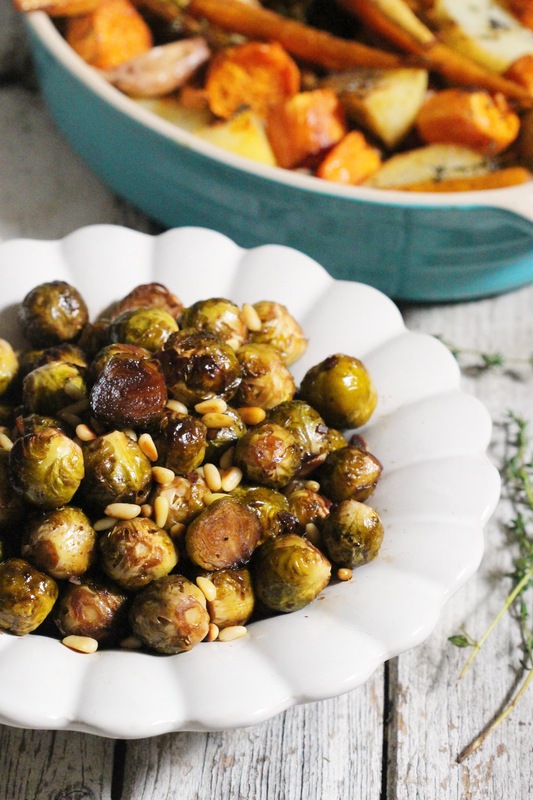 Pop them back in the oven to roast for another 15 minutes until the sprouts are crisp and the pine nuts are golden.